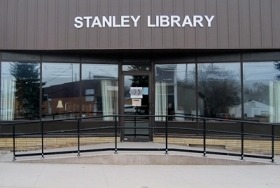 The mission of the Stanley Public Library is to maintain and improve the quality of life of the community by promoting the joy of reading and sharing the resources that enhance knowledge. These painted rocks with uplifting messages were found outside and inside the library on Monday. Thanks Stanley 4th graders, you rock!